Found in an antique store in Belton, Texas, this is a rare and early loose coupler "Receiving Transformer" from the dawn of radio shown with a pair of C. Brandes "Superior" headphones. 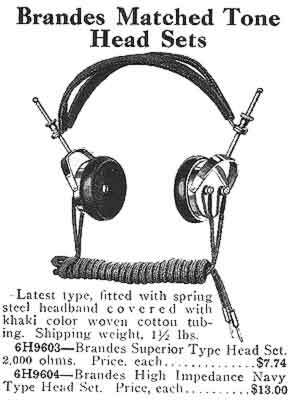 The radio and headphones are seen in the 1922 Electrical Goods & Radio Apparatus catalog from Sears & Roebuck priced at $7.80 as shown below along with the headphones for an additional $7.74. 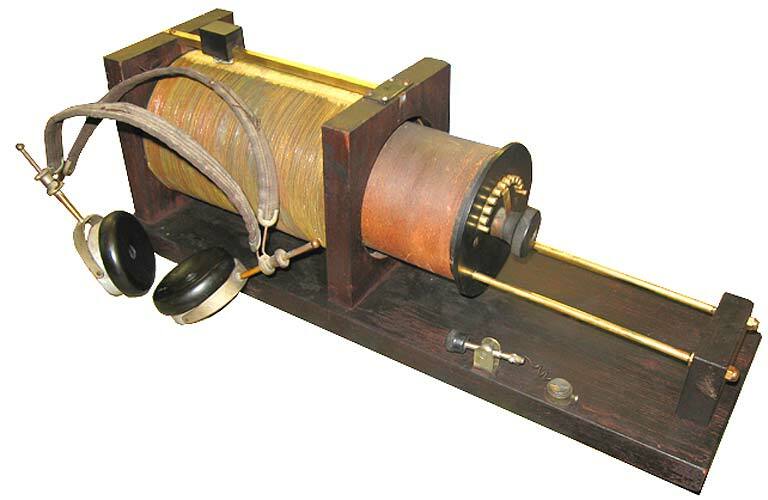 The loose coupler was modified by an owner at one time probably in the twenties to include the cat whisker and crystal on the board to convert it into a complete crystal radio receiver. The Sears nameplate is normally placed where the crystal is located on my example. This particular model was likely first introduced in the mid-teens and my example is a later version because the catalog snippet below mentions a "Bakelite coil head in place of the wooden head formerly used" as seen in my example. The radio still works and picks up AM provided one has a very sharp ear and a really long antenna. It was originally intended for AM or other low carrier frequency communications.